The Deborah Milano 24ORE Long Lasting Lip Pencil is a must-have for every woman who wants to be at the top of her game. 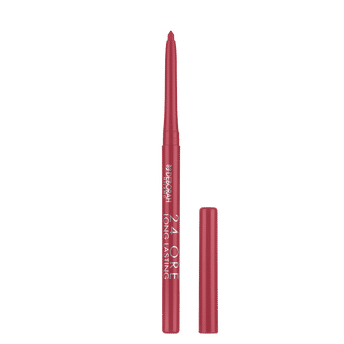 With its soft and ultra-comfortable texture, this lip pencil is easy to apply, does not transfer and gives extremely tight and perfectly defined look. The pencil sports a contemporary retractable design for smudge-proof colour that stays put for hours. This is definitely one beauty product that every woman needs in her make-up purse to look fabulous all day, every day! Alternatively, you can also find many more products from the Deborah Milano 24Ore Long Lasting Lip Pencil range.